Most homes have a whole-house inspection prior to being sold. Why not be proactive and have your inspection prior to putting it on the market to sell? Make any necessary repairs needed and have your home in tip-top shape. Create a check list of all small repairs needed and start tackling them. Items such as caulking, painting and faucet drips should be addressed before the home goes onto the market to sell. A clean home is a very good thing! Windows should be washed. Carpets should be professionally cleaned. Make sure all pet odors are eliminated. Hardwood floors should gleam. Everything in your home should be polished and clean. If the budget allows, consider having a professional cleaning service clean your home prior to selling. Go here to learn how to keep your home clean longer. Throw it away. Clean out closets. Pack up unused items and either sell or donate them. Knickknacks should be stowed away in boxes. Family photos should be kept to a minimum. The goal is to have buyers look at your home’s features and not your stuff. You want potential buyers to envision themselves living in your home. Each major room should have a focal point on the furthest wall from the doorway. Pieces of furniture should be arranged in a triangle around that focal point. In bedrooms, the bed is the focal point. In a living or family room, a fireplace may be the focal point. Walls should be painted in a neutral, warm color. Rooms should be well lit. On the outside of your home, be sure that the lawn is trimmed, clean and neat. Flowers in pots can brighten an entrance. Contact Sibcy Cline Home Services for any of your home-related needs. 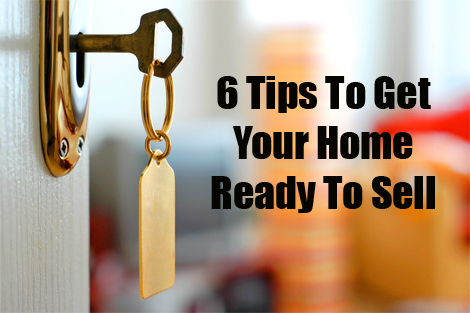 This entry was posted in Home Maintenance, Real Estate, Selling A Home and tagged stage your home, Tips for getting your home ready to sell by susanaknabe. Bookmark the permalink. Reblogged this on Royal Flush Sewer & Drain Cleaning.